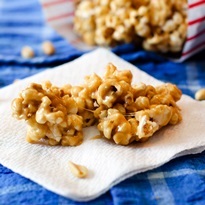 This peanut butter popcorn recipe is adapted from AllRecipes. One thing I enjoy about that site is the quantity of helpful comments and reviews you can find for each recipe. This isn’t always the case on the internet! 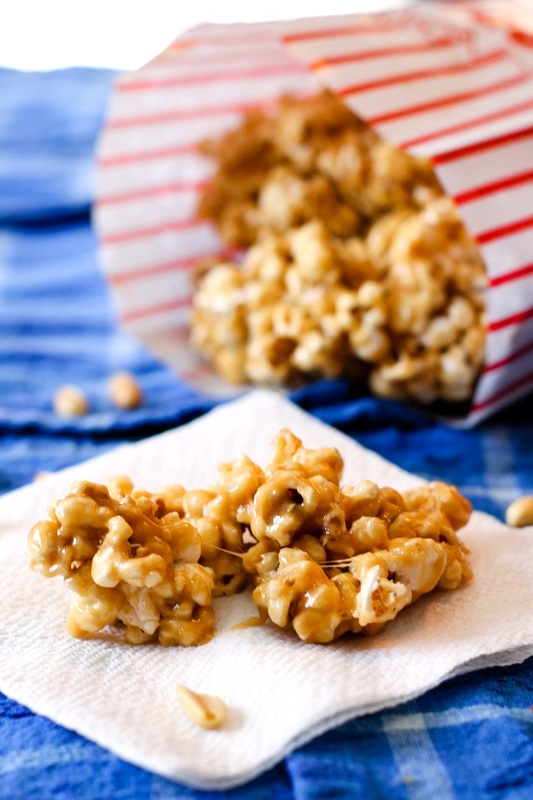 While the original recipe just says to serve the sweet peanut butter popcorn as is, some commenters suggested baking the popcorn for a firmer coating, which is a great idea. The peanut butter popcorn photographed here is cooked the original way, but I’ve included options for baking the popcorn or cutting it into bars, which was inspired by this recipe. No matter how you enjoy it, this peanut butter popcorn is definitely a sweet treat for special occasions. 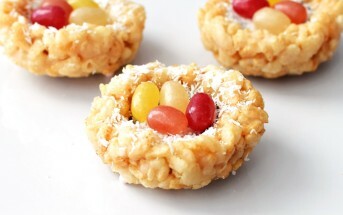 A little goes a long way, but we really enjoyed it as a fun dessert. The original recipe calls for microwave popcorn. Alisa recommend air popping the popcorn, since dairy-free microwave popcorn can be hard to find and because it crisps up nicely. You can use a traditional popcorn popper, or one that works in the microwave (shown at right). My personal preference is stovetop-popped popcorn made with coconut oil using the Whirley Pop popcorn maker. We switched from a microwave popper to the Whirley Pop a few years ago. It’s very simple to use, and the popcorn stays fresh for days. 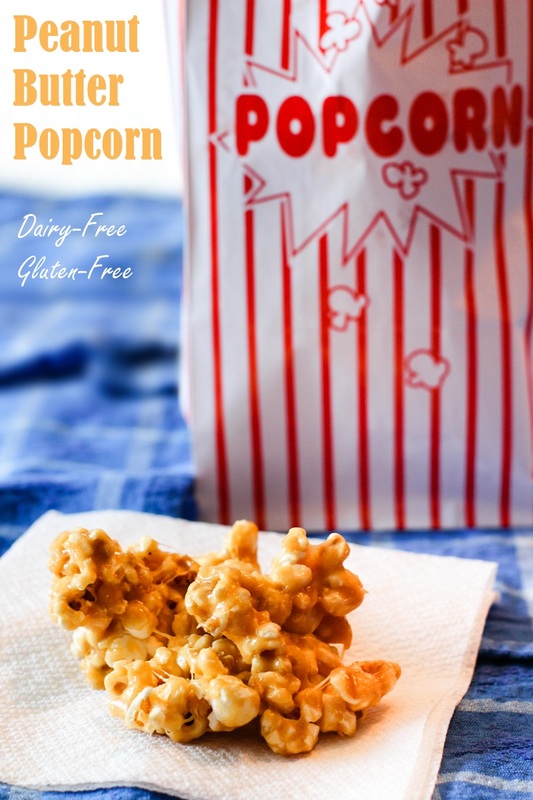 If you are on a mission for dairy-free microwave popcorn, there are a few options. Skinny Pop makes allergy-friendly microwave popcorn in Sea Salt and Butter (yes, it’s dairy free!). Orville Redenbacher’s Naturals Simply Salted and Newman’s Own Organics Pop’s Corn No Butter No Salt are also made without dairy. 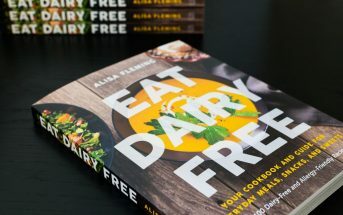 By ingredients, this recipe is dairy-free / non-dairy, egg-free, gluten-free, tree nut-free, optionally soy-free, optionally vegan, and optionally vegetarian. And yes, we included a peanut-free option! But please note that most vegan (gelatin-free) marshmallows do contain soy. If baking the popcorn, add 20 to 30 minutes to the cook time shown. 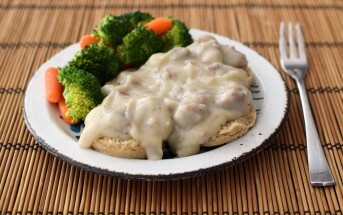 This easy recipe is adapted from Allrecipes. Pour the prepared popcorn into a very large bowl. Put the dairy-free spread, brown sugar, and marshmallows in a microwave-safe bowl OR a saucepan. If microwaving the mixture, cook at 1-minute intervals, stirring after each minute, until the mixture is melted and smooth. If cooking the mixture on the stove top, heat the saucepan over low heat and stir the mixture until it is melted and smooth. Stir the peanut butter or seed butter into the marshmallow mixture until it is well blended. Immediately pour the marshmallow mixture over the popcorn and stir quickly before it cools. Gooey peanut butter popcorn option: Serve the popcorn once it is cool. Peanut butter popcorn bars option: Press the popcorn mixture into a greased 9x13-inch pan and cut into bars once cool. Crunchy baked peanut butter popcorn option: Spread the popcorn onto a foil-lined cookie sheet. 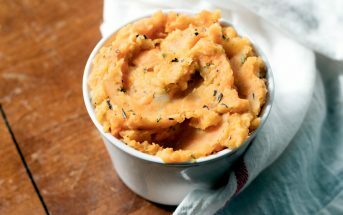 Bake at 200ºF for 20 to 30 minutes, stirring every 10 minutes, or until crisped to your liking. 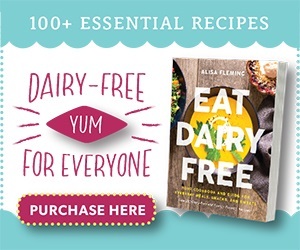 If You Like Our Recipes, Have a Peek at the New Go Dairy Free! Seriously, what kid (or adult!) would not go crazy for this combo!! DELISH!! Agreed, Tessa! And I’m guessing it would work well with sunbutter, too. Yum!! 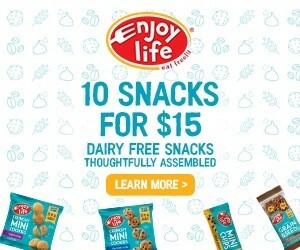 I can’t wait to try the gooey popcorn version, but the peanut butter popcorn bars sound perfect for on the go snacking too. Looks like I’ll be making both! Two of my absolute favorite things…popcorn and peanut butter! Looking forward to making this one! It’s a lot of fun! I hope you like it! Ooooh my goodness. My kids are going to go crazy over this! Well, my kids certainly did! It’s a really fun special treat.